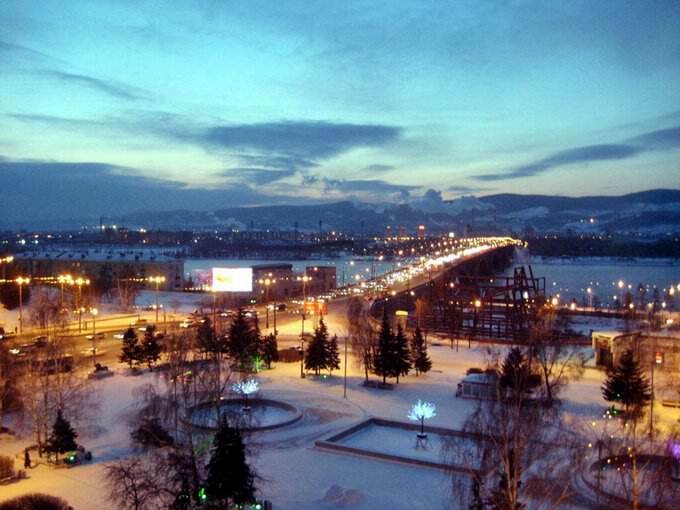 Krasnoyarsk is the largest cultural and economic center of Eastern and Central Siberia. The city is also the administrative center of Krasnoyarsk region. The city is situated on the Yenisei River. The population of the city in 2010 estimated over 972 thousands of people. Family holidays with kids in Krasnoyarsk. How to entertain your child, things to show to children. The city differs from other Siberian towns by unique sceneries, mountain landscapes, ancient Siberian forests and a famous “Stolby” National Park. The park occupies a territory of 47,000 hectares covered with taiga. On the territory of the park are located exotic peaks of Eastern Sayan Mountains. Nowadays Krasnoyarsk is a modern industrial center famous for its unique architecture. 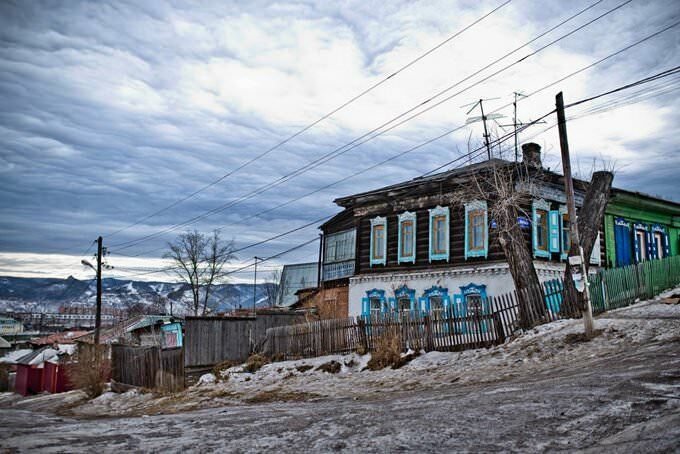 This is the motherland of talented Siberian craftsmen and one of the most beautiful cities of the country. There are many places of interest in Krasnoyarsk. The most notable of them are Parasceva Friday Chapel (you can see it on the 10 rubles banknote), “Stolby” of Krasnoyarsk, Railway bridge across the Yenisei River, Central Park, Fan-park “Bobroviy Log”, Park of Flora and Fauna “Royev Stream”, Troitsky graveyard, over 200 fountains and monuments. There are many museums in Krasnoyarsk. Among them are Museum of Art, Railway Transport Museum, Museum of Forest, Museum of Communications, Museum of Pharmaceutics, Museum of History of Medicine, Anatomic Museum and much more. Moreover, the city is rich in theaters and concert halls; here you will even find an organ hall of Krasnoyarsk Philharmonic. One of the main symbols of Krasnoyarsk remains the nature reserve Krasnoyarsk Pillars. Its name is due to the impregnable sheer rocks, which really resemble huge stone pillars. Only the most experienced climbers dare to conquer their summit. The area of ​​the reserve is more than 47 000 hectares. Besides the beautiful rocks on its territory, there are extensive forests and also unusual geological formations of volcanic origin. For tourists, there are several walking routes of different duration. The most visited cultural institution of the city is the Regional Museum of Local Lore whose opening was in 1889.It is one of the oldest museums in Russia. Currently, the exposition of the museum has about 450,000 exhibits, among which there are unique paleontological and ethnographic artifacts. One of the most unusual is considered the collection of church antiquity. Also, the museum contains very interesting archaeological collections. Fans of Russian literature will be interested to visit the Literary Museum. It is located in a very beautiful historical building. The location of the museum was a wooden mansion, which was built in the 19th century. Miraculously it completely survived to our days. The museum within its walls was opened in 1946. The collection of the museum is very extensive and multifaceted. It stores personal belongings and manuscripts of many literary figures, as well as posters and placards, old documents and photographs. Among tourists with children, one of the most popular attractions remains the Krasnoyarsk State Circus. In 1971, a large beautiful building was built for this circus, in which it is located even now. This building is well equipped. So in addition to circus performances, it often hosts musical concerts and other interesting cultural events. An excellent place for hiking is the Karaulnaya Mountain, on top of which there is a popular observation deck. 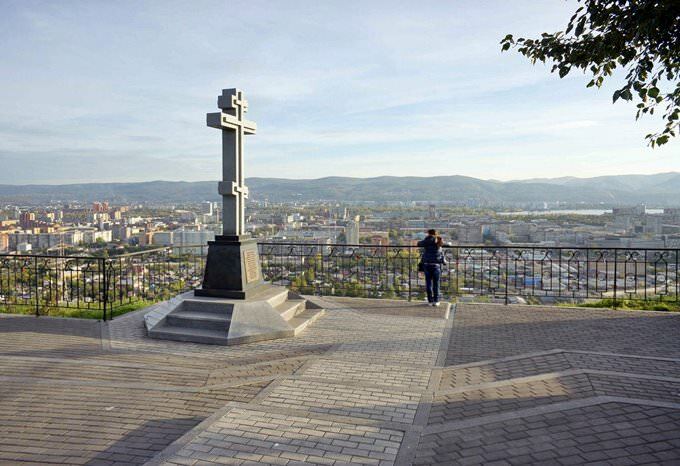 It offers an excellent view of many important landmarks of Krasnoyarsk.It is most interesting to visit these places in the warm season, when flowers blossom on the top of the mountain. Once upon a time on the top of the mountain, was an important guard post. Now there is a stylish park with places for rest and sports grounds. 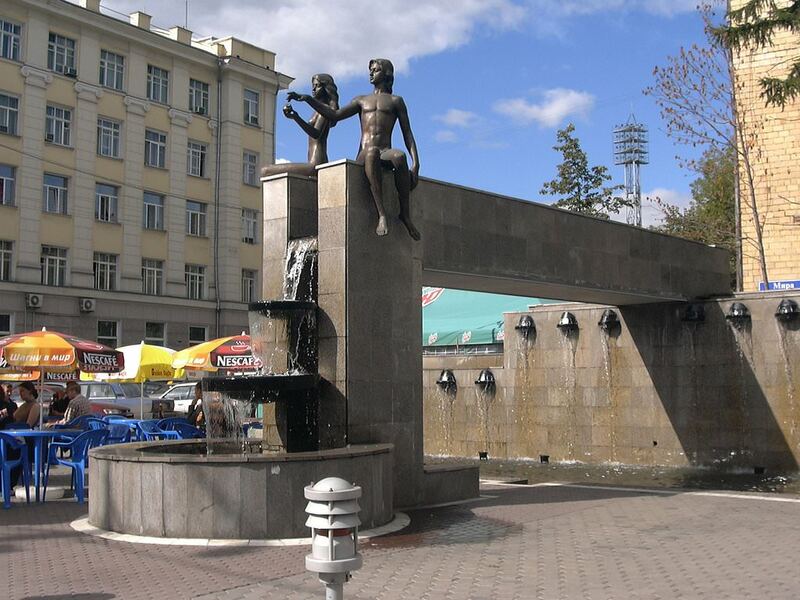 This guide to iconic landmarks and sights of Krasnoyarsk is protected by the copyright law. You can re-publish this content with mandatory attribution: direct and active hyperlink to www.orangesmile.com. All about Krasnoyarsk, Russia - sightseeings, attractions, touristic spots, architecture, history, culture and cuisine. Prepare your trip together with OrangeSmile.com - find out the 'must see' things in Krasnoyarsk, which places to visit, which excursions to take, where the breathtaking views are waiting for you. Planning your trip with this travel guide will help your to get the most out of Krasnoyarsk in few days.